Save energy in cold storage. The ActivRAC system not only saves on energy costs — it can also save on construction or rental costs. 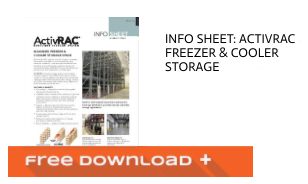 Web Industries found that by using an ActivRAC system they could store the same amount of material in a freezer half the size; read the case study here. 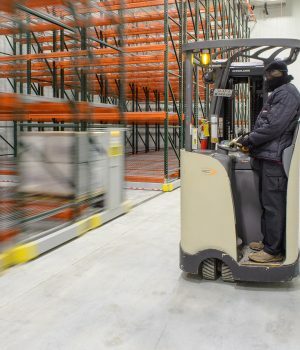 Our systems feature carriage and rail systems where the shelving or racking moves side to side and eliminates static aisles—and that means you’re able to use every available inch of your premium freezer and cooler space to store products and goods without having to build or lease a new warehouse. Mobile racking provides optimum visibility to items, creating an easier way to handle mixed-product pallets and smaller batches. Heavy-duty mobile pallet racking can create a densely packed cooler, lowering costs per pallet and energy costs. 100% accessibility to products—along with a compacted space—eliminates long travel times and unnecessary touches. 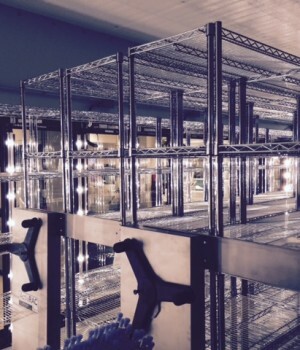 Additional space created from mobile racking allows for services such as repack operations, consolidations, customization, and shorter shipping cycles and delivery times. Improved selectivity offered by mobile storage results in better inventory control and regulatory compliance. The improved selectivity and accessibility created by mobile pallet racking supports lean processes. Depending on your needs, we offer different levels of temperature control. 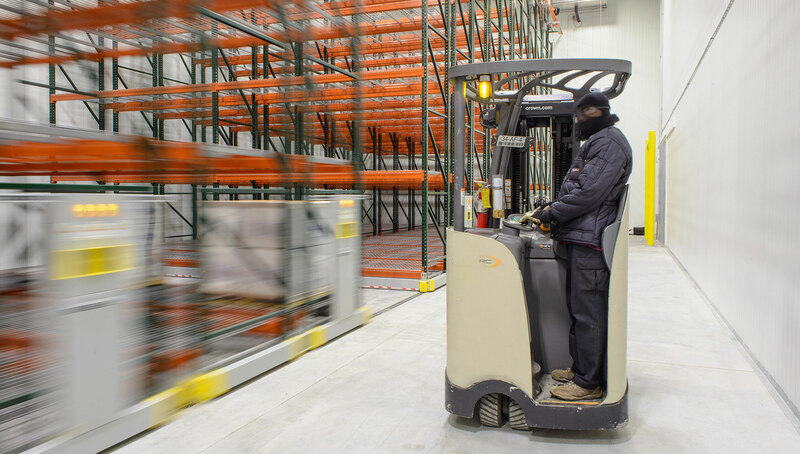 Compact storage can save space in any type of warehouse — even a frozen warehouse that’s kept at 10 degrees below zero. In fact, the world’s largest and most advanced composites formatting facility trusts Spacesaver’s ActivRAC system to store materials. 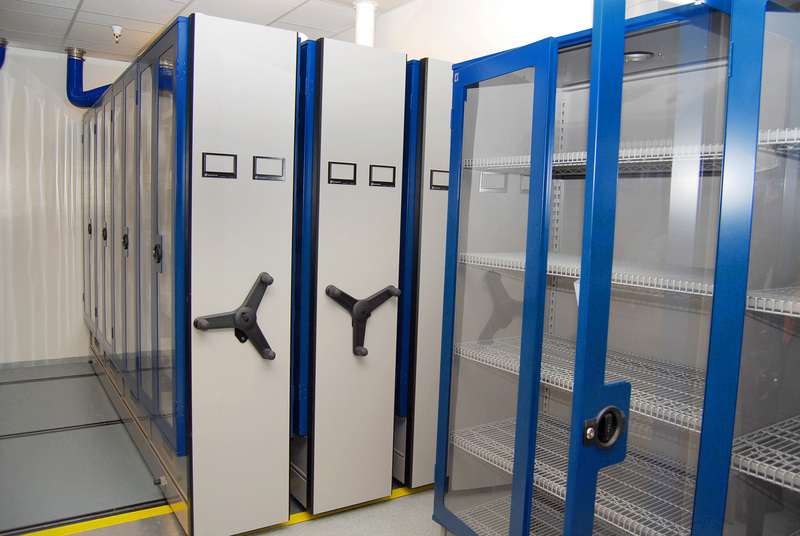 The ActivRAC allowed them to store the same amount of material in half the space they had originally planned, allowing them to save a tremendous amount of money on construction and long-term operating costs. SKUs that had doubled over the past three years, and that was great for the portfolio of a Midwest Beer Distributor—but posed a problem for their already tight cooler storage. Retrieving kegs became a frustrating ordeal, with employees having to unload the cooler each morning in order to get to the kegs that needed to be delivered that day. Operations slowed, and as a result, so did deliveries. The distributor needed an immediate solution that wasn’t capital-intensive and wouldn’t require additional employees. 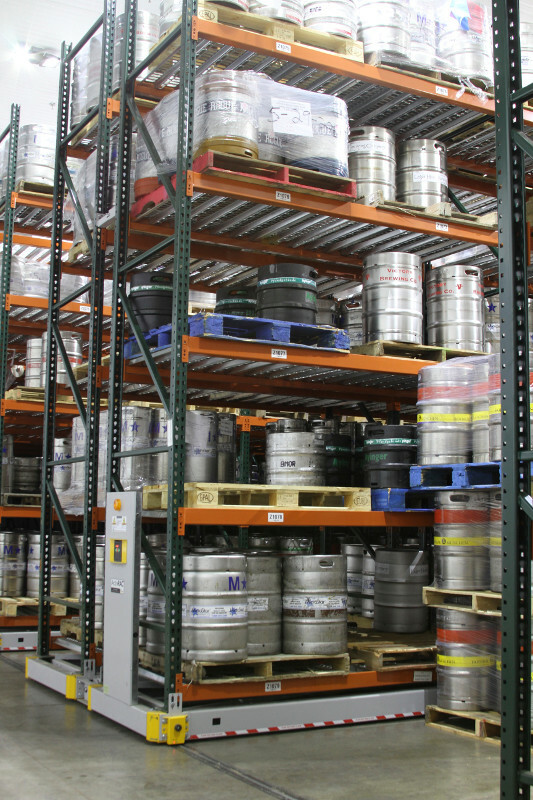 An ActivRAC 16P was installed and now holds over 700 kegs—a 100% increase from what static pallet racking was able to hold—without purchasing new warehouse space. 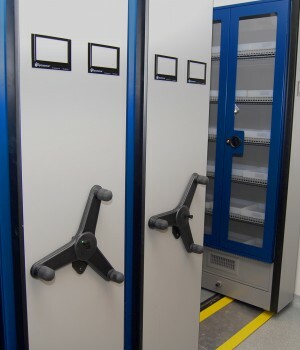 Mobile racking isn’t just for food and beverage—a global pharmaceutical company was in the midst of expansion, and unfortunately, an expansion of the company didn’t quite translate into an expansion of storage space. Due to very temperature-specific storage needs, chemicals and tests related to particular projects were being stored all over the lab, and the lack of organization was slowing down progress. 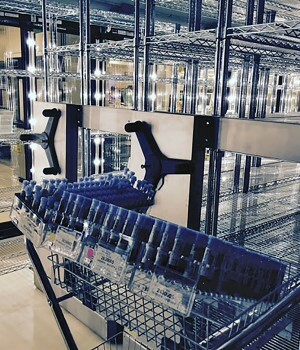 An ActivRAC 7M-SS (Stainless Steel) heavy-duty cold storage shelving system, paired with an integrated HVAC system, gave them a way to centralize their compounds in one place—and continue to stay competitive in their market.